BeritaIndependent.Com | “Bela Islam Action was not just face Basuki Tjahaja Purnama alias Ahok as the Jakarta Governor. 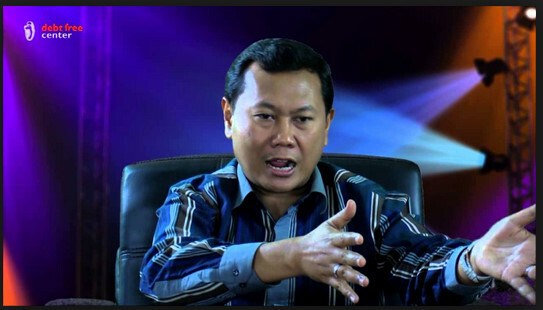 furthermore, Muslims face a greater force behind Ahok.” Heppy Trenggono as Founder of Beli Indonesia Movement said. "Why does everything that was concerned with Ahok the law didn’t run? Didn’t happen, there was no law enforcement. Because this isn’t just a legal issue, there is something greater outside the law context," he said when delivering his argument in the Taqarub Ilallah Assembly themed "The beauty Jakarta without the Blasphemer ", in Tebet, Jakarta, yesterday. Even , Heppy continued, the big question is why the greatest action that did by Muslims many times weren’t managed the government to move and accommodate the demands of the Muslims. "The 212 action was the biggest acts ever in a human history but could not drag Ahok to the jail. Because, there’s the agenda from enemies how to weaken the Muslims and Islam," he explained. According to him, there is a huge colonialism agenda behind Ahok’s case. So, Muslims impaired by them to make their agenda goal. "There is a locomotors, they have a big agenda to revive the colonization in Indonesia," he said. So, DKI election is our (Muslim) greatest jihad to thwart the colonialism’s agenda. "The DKI Election is a life and death matter, Muslims must win and do anything to win," Heppy said.